Thanks for visiting LiveHacked.com — hopefully you’ll find something you’ll like. I’m guest posting today at two fantastic websites: FirepoleMarketing.com and SelfPublishingTeam.com. Please go visit these awesome sites, subscribe, and leave me a comment there! If you’re visiting this site because you clicked through one of their posts, thank you! Great blogging. Some of our most popular posts have been shared almost 700 times (The Official Self-Published Book Marketing Plan), commented on over 50 times (The Ultimate Social Media Guide for Writers, and read over 10,000 times (Using Scrivener and Evernote to Write Your Book). Great books. 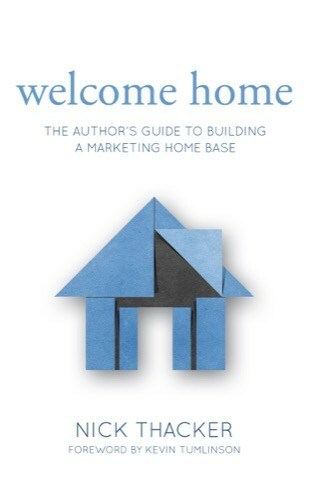 I’ve personally written and released 7 books, including Welcome Home: The Author’s Guide to Building A Marketing Home Base, The Dead-Simple Guide to Amazing Headlines, The Dead-Simple Guide to Pillar Content, The Dead-Simple Guide to Guest Posts, Building A Blog for Readers, and as of last week, my very first novel: The Golden Crystal! Great products. We like to help people figure out their business strategy too, even if it’s just “release a great book.” We’ve got you covered there, if you’re in that boat, with The Platform Firestarter. While that should certainly give you enough reading material to last the day, I hope you’ll still want more. For that reason, I’d like to invite you to check out our newsletter. It’s free, includes (on average) a weekly email that will keep you up-to-date about the latest here on the blog, and will be the first I send special announcements and updates, as well as product release specials (not to mention free books! ).